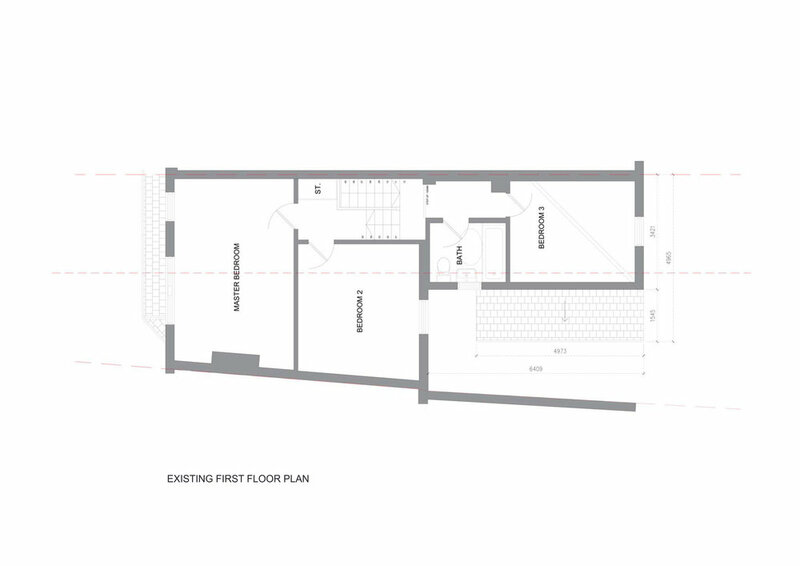 Successful planning application for a single storey rear and two storey rear side return extension to a terraced house in E11. The design achieves a new bedroom at first floor allowing an existing bedroom to be converted into a large en-suite for the master bedroom and a much needed new family bathroom. 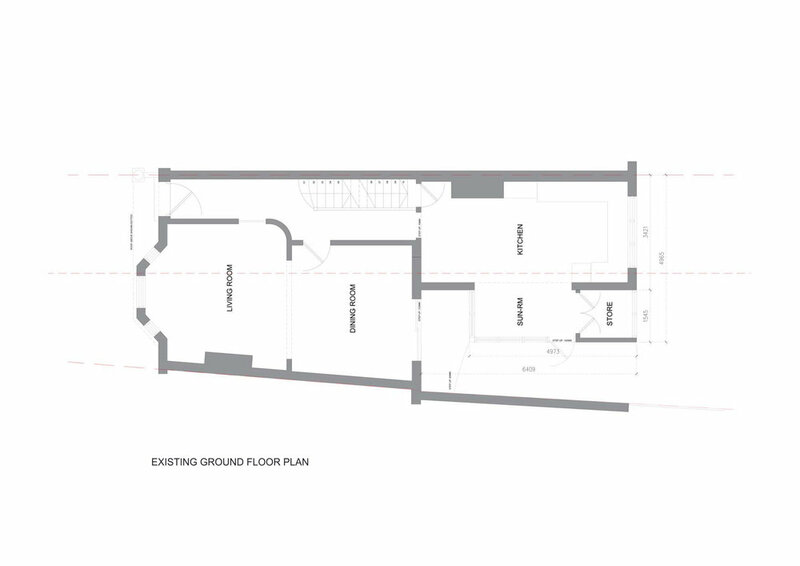 A cleverly designed, compact study area is introduced at first floor on the landing between the existing outrigger and new two storey extension. This study space is located next to a double height void which introduces dramatic views between ground and first floor. The ground floor retains the current layout of the main house to the front but completely reorganizes the kitchen and dining spaces at the rear with a small snug seating area created in the new single storey element which opens out directly onto the garden.